FREEZE STUBBORN FAT AWAY, SAY NO TO SURGERY! 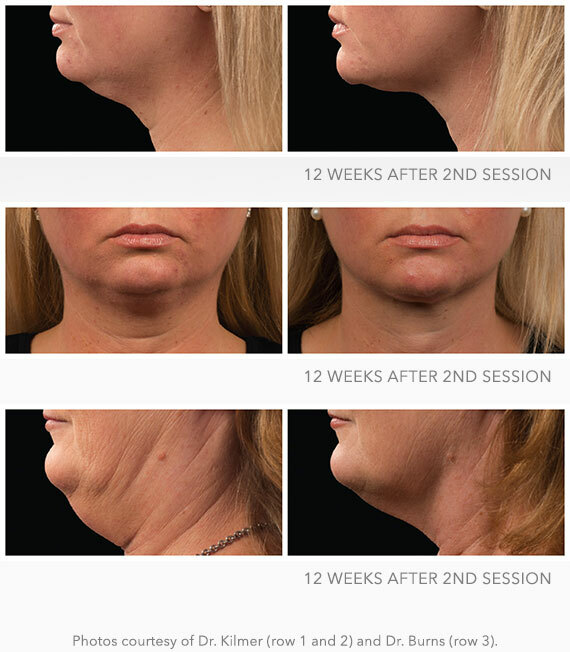 The #1 non-invasive fat reduction treatment can now treat under the chin. Results in 1 to 2 visits. Requires no needles, surgery or downtime! 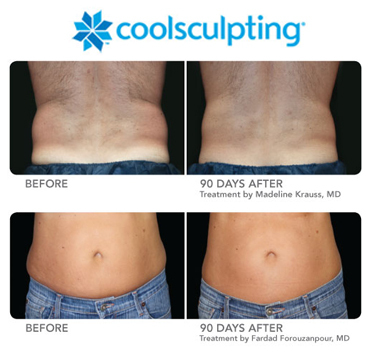 Coolsculpting is the only FDA-cleared, non-surgical fat reduction treatment that uses controlled cooling to eliminate stubborn fat that resists all efforts through diet and exercise. The results are proven, noticeable, and lasting, so you'll look great! Most treatment sessions only take about an hour. After you and your physician select the area(s) to be treated, the applicator device is positioned on your body and controlled cooling is applied. During your procedure, feel free to read, check email, or even take a nap. Coolsculpting is completely non-surgical, so you can typically return to normal activities immediately. Refer a friend! Thank you for showing your confidence in us through the referral of your friends!